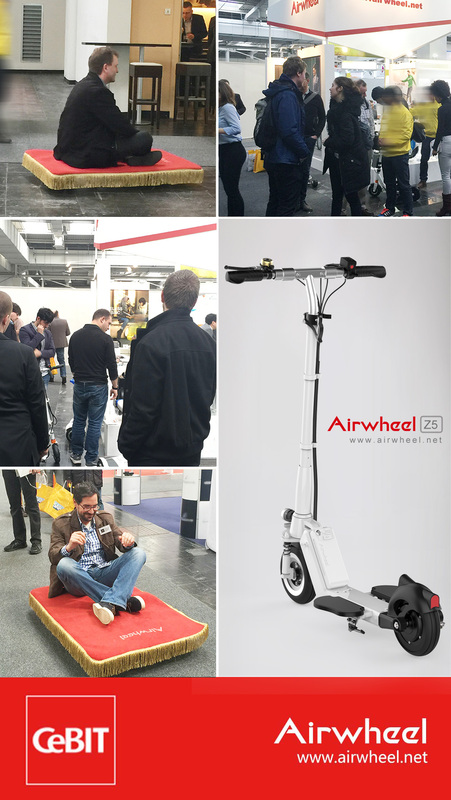 On CeBIT 2016, the newly launched Airwheel Z5 foldable electric scooter is well acclaimed. Abstract: The annual CeBIT is always regarded as the barometer of current trends and visitors have high expectations. Of course, the CeBIT 2016 lives up to its fame. Airwheel, a renowned enterprise specializing in self-balancing electric scooter, has rolled out four series of six fire new models. 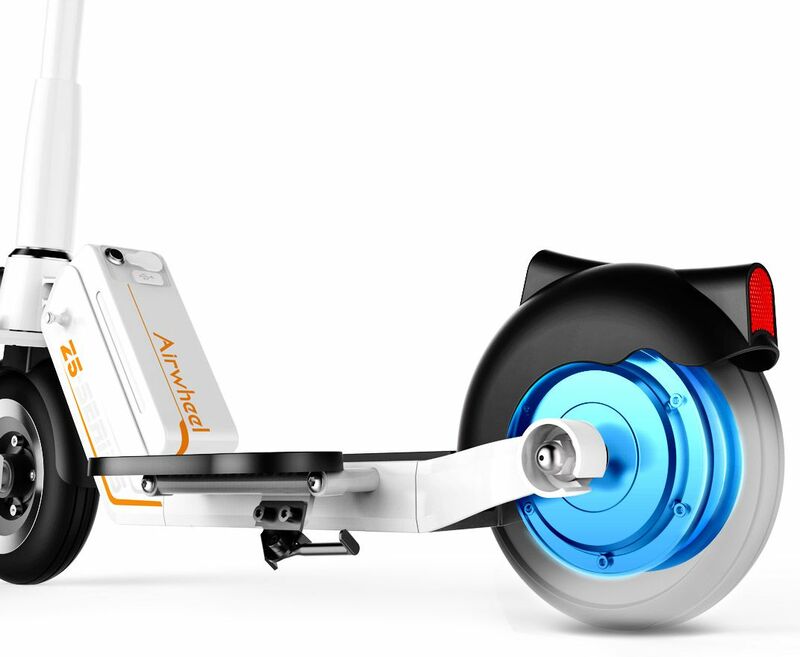 The newly launched Airwheel Z5 electric scooter is well acclaimed on CeBIT 2016. With the advent of information technology, the new demands for the daily transport no longer remain on the single vehicle. Instead, one vehicle can meet a host of requirements. The annual CeBIT is always regarded as the barometer of current trends and visitors have high expectations. Of course, the CeBIT 2016 lives up to its fame and has witnessed the born of numerous new product to facilitate to reach the digital future fast. Airwheel, a renowned enterprise specializing in electric scooter, has rolled out four series of six fire new models. Inheriting the merits of the former product Airwheel Z3, Z5 electric standing scooter is paying more attention to the details, advocating portability and convenience. The continuous imported lithium-ion battery cells have stable performance and long service life. Lightweight and triple folding system of Z5 enables individuals to easily carry it into elevator, subway, bus, or store it in the trunk of a car. Also, the battery is in a modular design, easy to disassemble and replace. If there is a demand for longer range, just buy spare batteries, which can easily be achieved. Different from Airwheel Z3, there is a USB power supply interface on the battery of Airwheel Z5 foldable electric scooter for adults. During the journey, high efficient USB power supply interface can meet the charging demands of mobile phone, Tablet, SLR and other daily smart devices. Moreover, the exclusive Airwheel app is developed to learn the real-time riding condition, such as the speed, residual capacity, track, mileage, etc. By app to adjust Airwheel Z5's current velocity parameters, it can meet travel demand and increase the level of comfort riding experience. Previous：Means of transport or entertainment tool, Intelligent Airwheel S8 saddle-equipped scooter meets both demands. Next：Airwheel latest intelligent helmet - C series is one of necessary protective gears for riding.